In the insurance market there is a lot of competition. 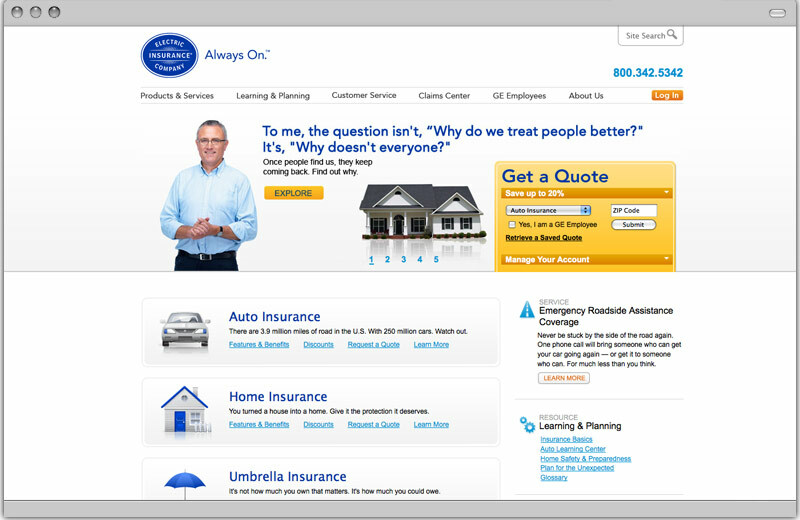 In order to differentiate themselves from competitors, Electric Insurance requested a site design that would highlight their focus on customer service. The site design brings the customer front and center showcasing customer quotes and success stories as well as providing tools to make interacting with the company as easy as possible.